I know everyone’s been freaking out that “Summer is totally over before it began”– but guess what?! IT’S NOT OVER!!! And If I have to write in all caps to make everyone calm down about that I TOTALLY WILL!!!! Lol. Look. August is still Summer, and yours truly isn’t rolling over and quitting just yet. There are still so many pool days left! 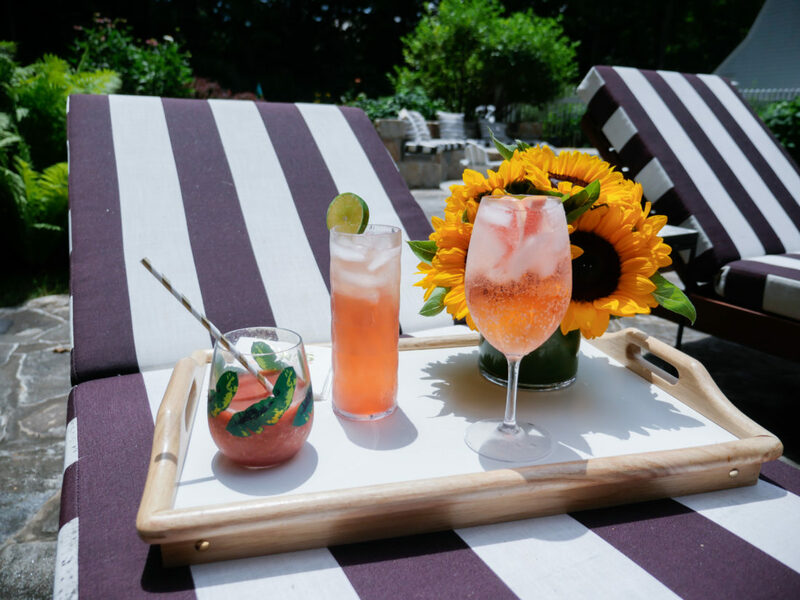 In the spirit of that, I thought I would share one of my poolside entertaining tips: my Pink Poolside Cocktail Trio! This trio was born out of a few facts: 1. I love the color pink, and it makes everything better. 2. Poolside entertaining feels super chic to me 3. Summer Cocktails are the BEST. Ok, that’s it but I think those are all important. I love serving this little cocktail trio to guests, and letting them pick their faves. 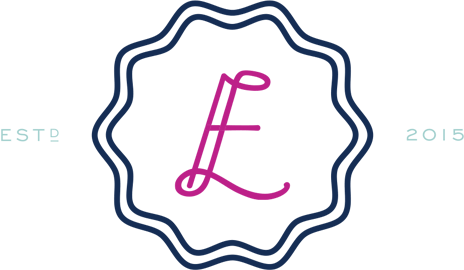 There really is something for everyone, and they’re so easy to make that it’s no sweat at all to offer up the option to choose between all three. I even made videos to show you how easy it is! So check out the recipes, watch the vids, and tell me which one is your fave! Viva La Summer! I just love myself a wine spritzer in the Summer time. It’s so refreshing, and you’re totally quenching your real thirst while you’re drinking! What a winning scenario! LOL. 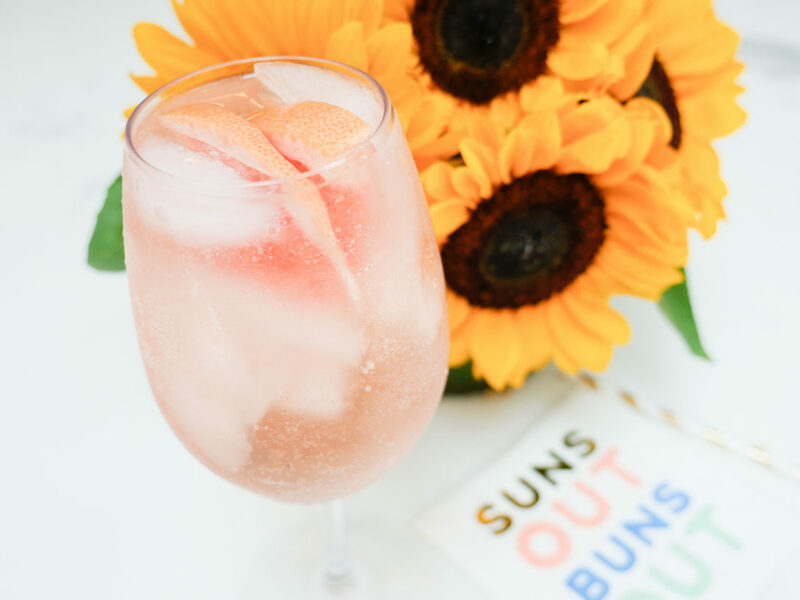 This is my favorite type of spritzer to make– I just love how the flavors of Rosé and grapefruit go together! 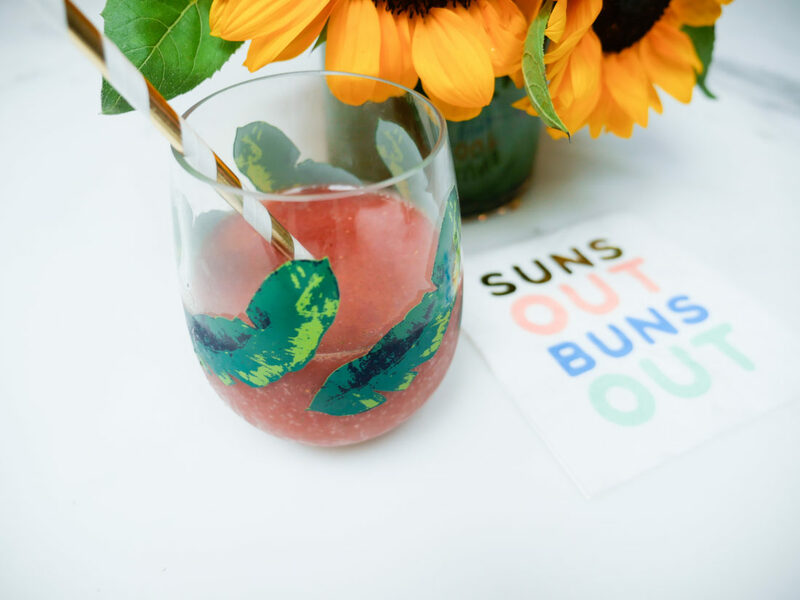 Pour your Rosé in to a large wine glass filled with ice, top with seltzer (you’ll probably only use half the can) and finish with two large slices of grapefruit! I dubbed this drink the “Coconut Shimmy” because I love it so much it makes me want to dance! It’s also super hydrating because of the coconut water– clutch on a really hot day! It’s pink because of the brand of coconut water I use that is high in polyphenols (making it pink AND super healthy) but you can make it with any non pink brand of coconut water also! Mix all the ingredients together, and serve over a tall glass filled with ice! Enjoy! 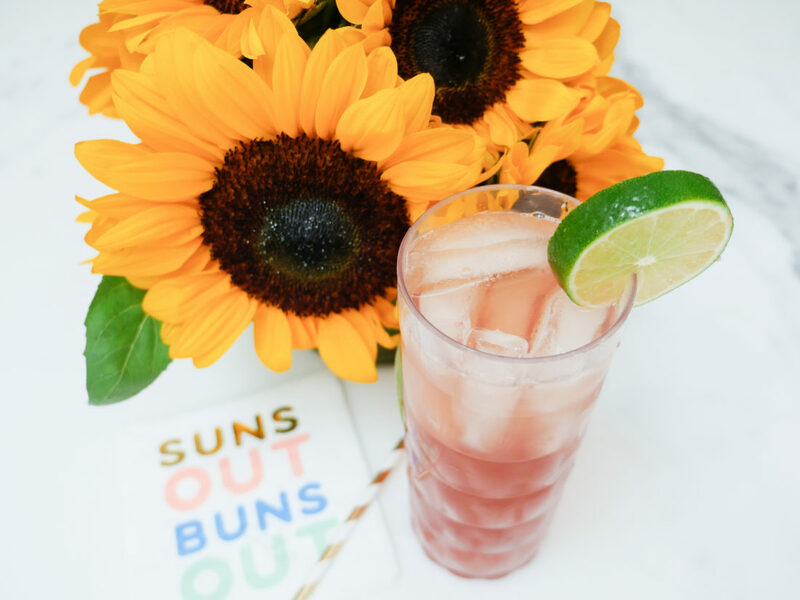 These margs are so yummy, and a really fun and elevated twist on this classic Summer cocktail! Strawberries are so perfect this time of year, so definitely make it with fresh ones if you can! Here is the blog post with the recipe. I hope you enjoy these videos, and that they inspired you to have an end-of-summer afternoon of leisure! Let me know if you have any poolside cocktail recipes I need to try! Wow,merci pour ses belles recettes de cocktails! Yes! Such a great trio. Thanks! Can’t wait to test these out!